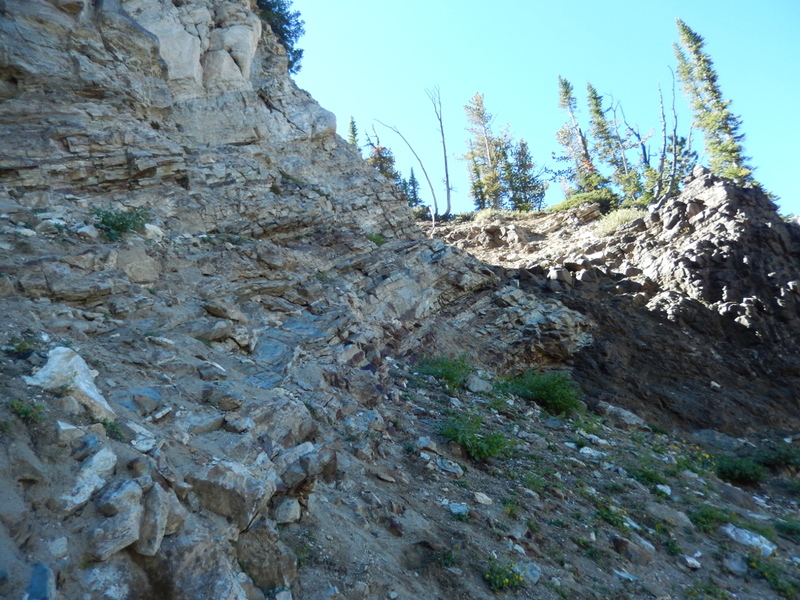 While Oregon has plenty of extrusive igneous rocks (after all, it is a land of volcanoes), the state has very little in the way of intrusive igneous rocks. 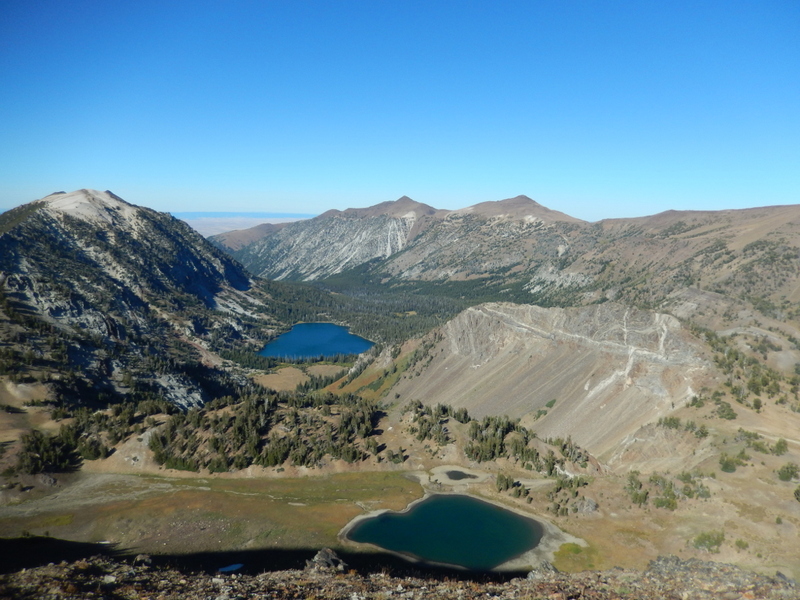 The glaciated Wallowa Mountains are one of only a handful of places where granitic rocks appear in Oregon. 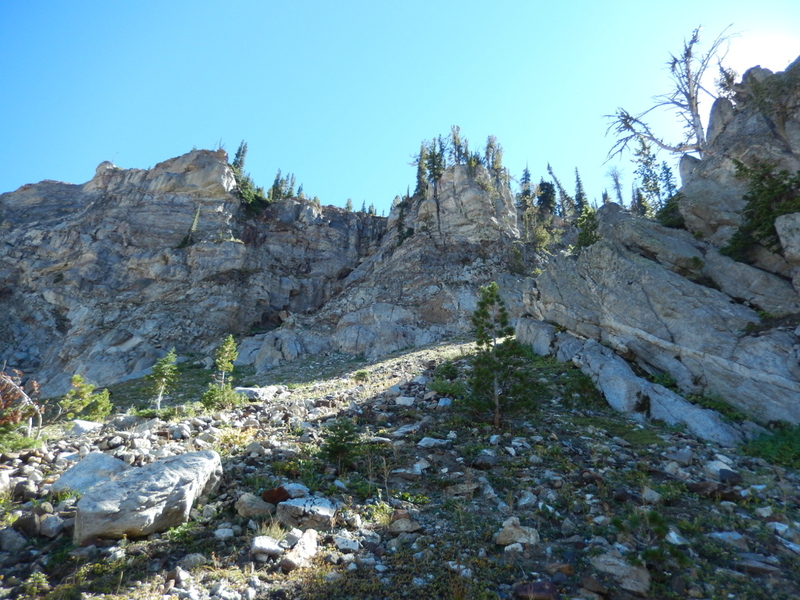 More than 120 million years ago, the Cretaceous Wallowa Batholith intruded into the Triassic Hurwal Formation and Martin Bridge Limestone, which are composed of limestones and limey shales. 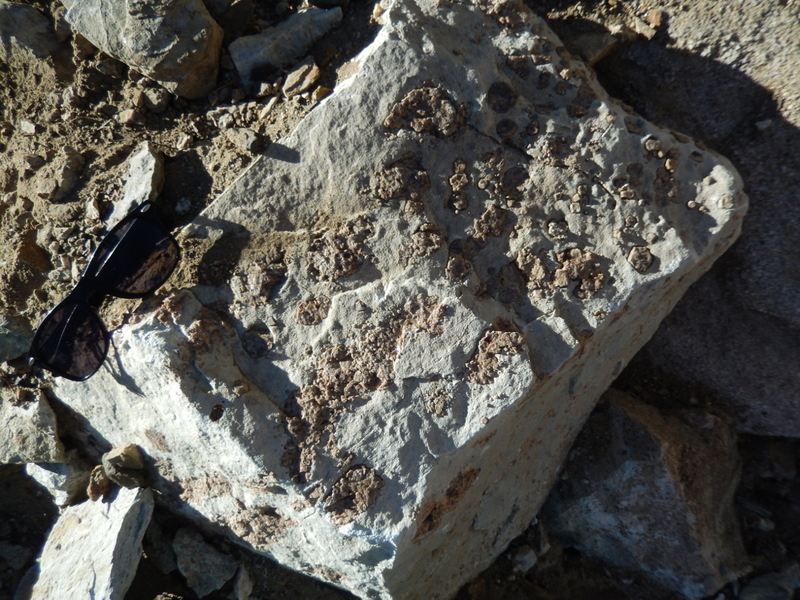 This silica-rich intrusion contact-metamorphosed these sedimentary rocks, and a calc-silicate skarn developed in the contact zone. 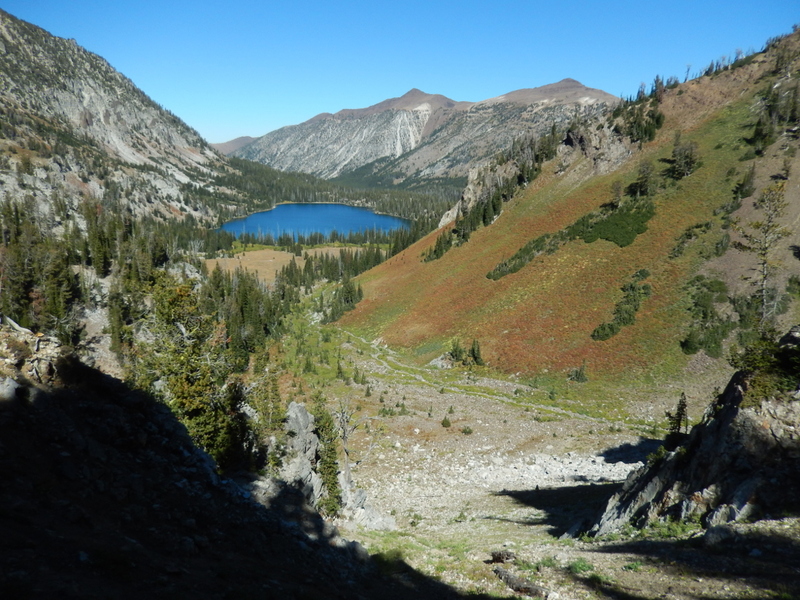 This contact zone is accessible in a small canyon to the south-southwest of Aneroid Lake, below Jewett Lake and Petes Point. You will have to cut around or through the cabin area (a camp for inner-city youths) and then travel cross-country up the drainage. Large grossular-andradite solid-solution garnets are overwhelmingly abundant. 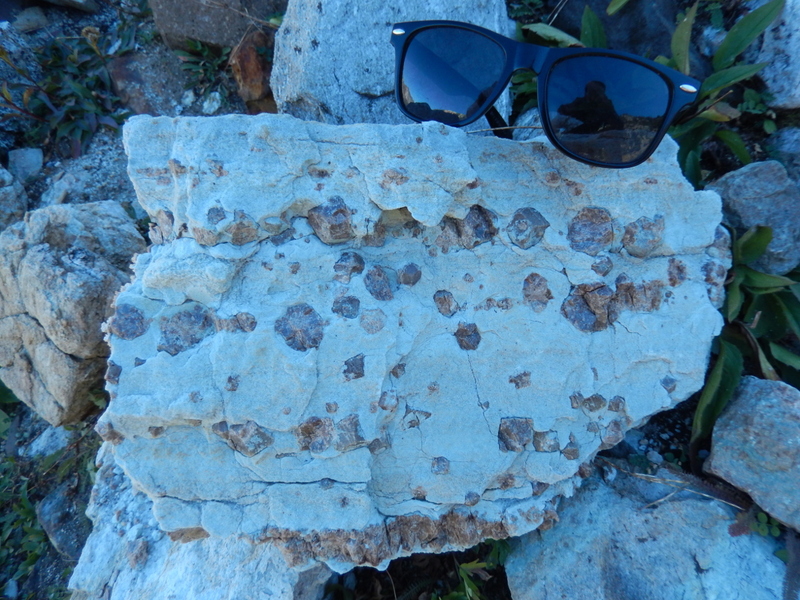 The garnets often are found as isolated subeuhedral crystals up to a few centimeters across within a greenish or white-grayish groundmass (probably recrystallized calcite, wollastonite, or diopside). Some crystals are perfectly euhedral (that is, perfectly formed into garnet dodecahedra), and some crystals are large enough to clearly exhibit zoning. 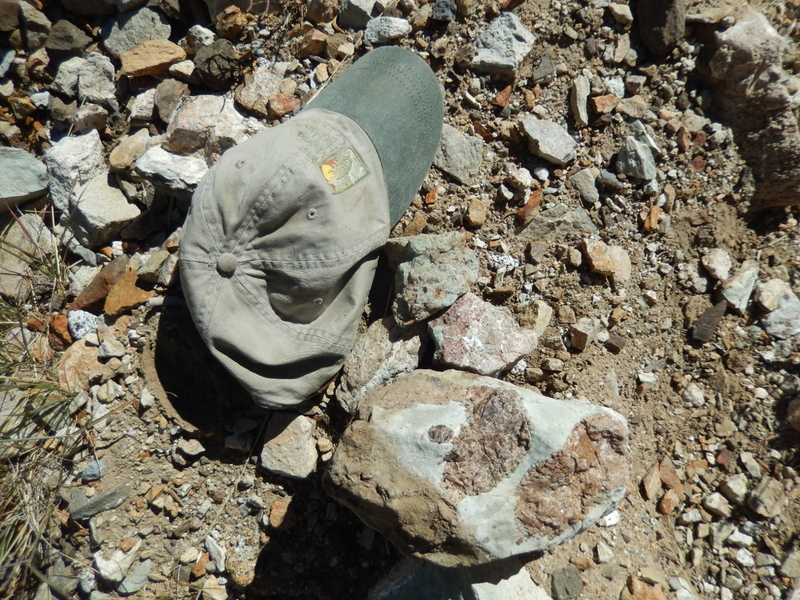 I also found several samples of an acicular bluish-green mineral that is likely tremolite. I'd recommend making this a long-weekend trip. 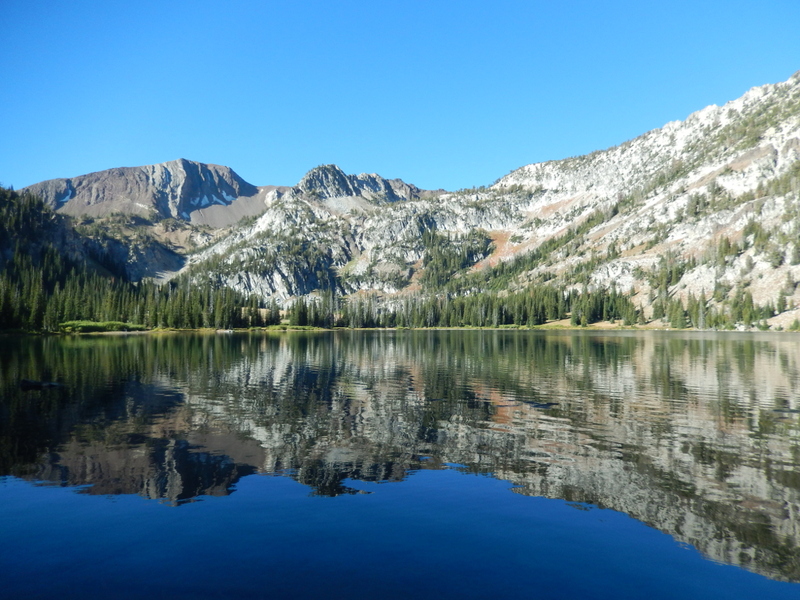 Aneroid Lake is a wonderful place to camp, and the fishing is likely exquisite. We spent two nights there; both evenings, at dusk, the fish were jumping like crazy. Petes Point is also worth the hike/scramble to the summit. 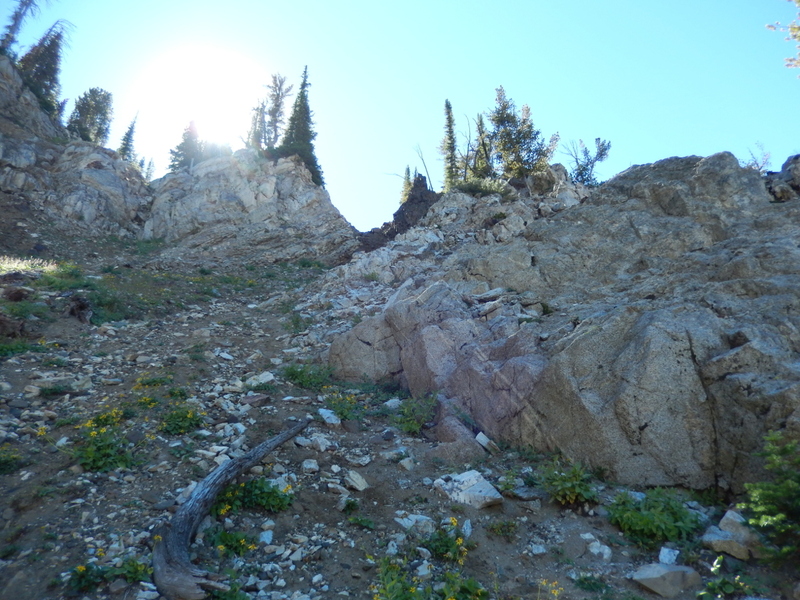 There is a use trail that leaves the maintained trail at the saddle to the east of the peak (Tenderfoot Pass). 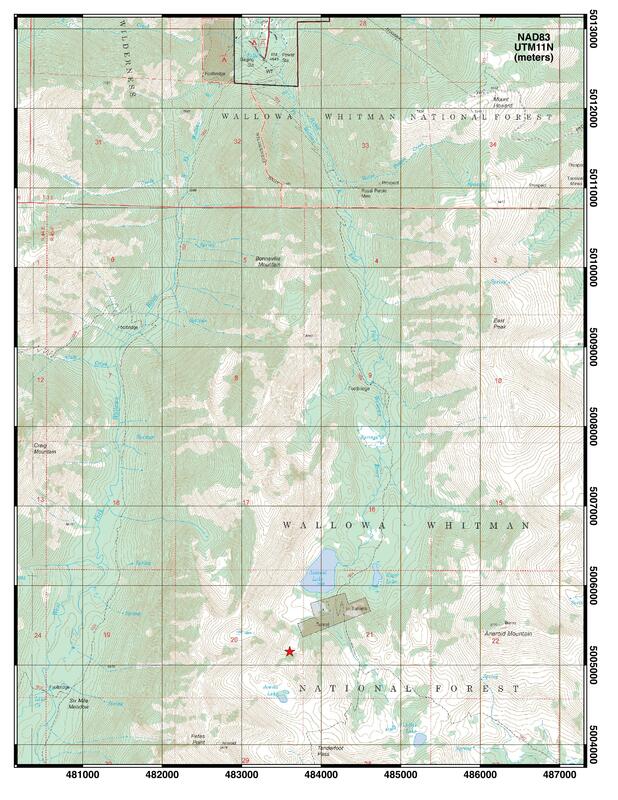 In 1991, the Keck Geology Consortium held an undergraduate student research project in the Wallowa Mountains. 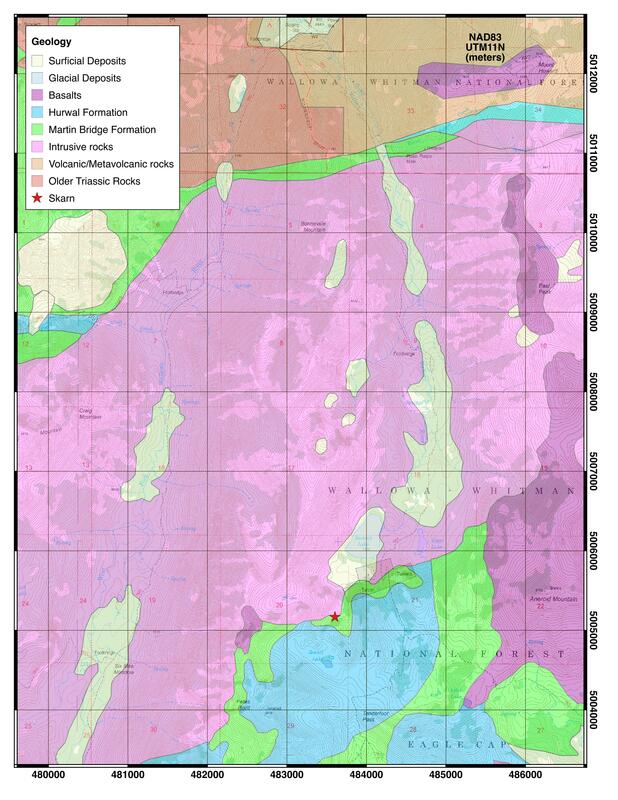 Several students worked on the skarns. Look under the Oregon Project in the 1991 Symposium Volume.